despite cheap rate, pretty spacious room, fairly clean bathroom and bed, there is some concern with existence of cockroaches in the room. they came out at night. and crawling on the floor. i managed to kill one but the other managed to slip under the bed. luckily the cockroaches did not disturb me when I was sleeping. 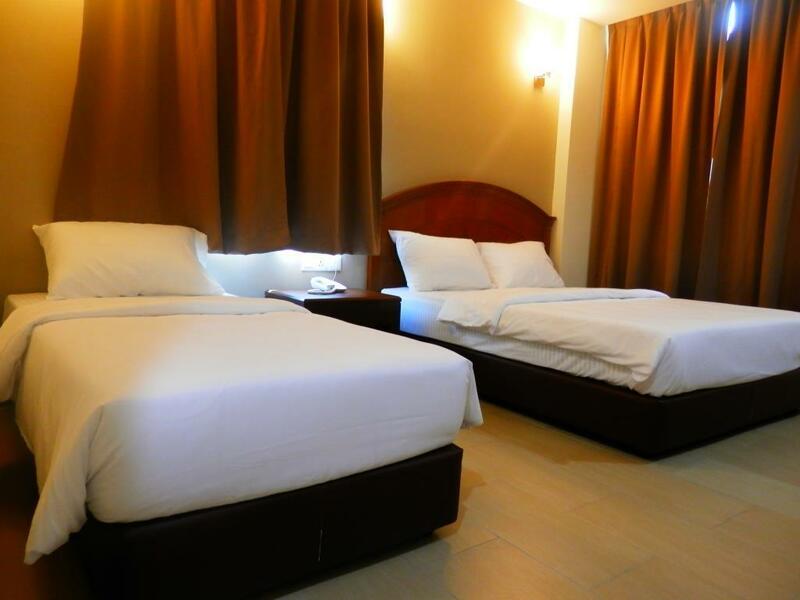 the staff very helpful and polite plus this hotel has lift so make things easier. Overall, it was pleasant. The family room size was adequate, and WIFI signal was strong even in the room. Convenient to locate without having to enter the jams leading into the "main" area around Jonker. A 10-min walk to Jonker and the river cruise was acceptable, as we witnessed the jam that built up in the early afternoon, and it also enabled my wife to pick up a Kebaya from one of the shops. I agree with one of the reviews that the presence of a rooftop bar would indeed make it very interesting, but otherwise, a couple or a group of friends could spend some quality time on the rooftop with coffee, beer or a even a bottle of wine. Being the first stopover driving from Singapore, a Hotlink shop selling prepaid SIM cards was just a few metres away. Didn't manage to find space in our stomachs to try the fare in the foodcentre just beside the hotel, due to over-indulgence in Jonker, but we'll be sure to try it the next time we visit Malacca and stay in LKS again! Stayed for a relative's funeral. Facilities were just adequate. Staff very friendly and helpful. 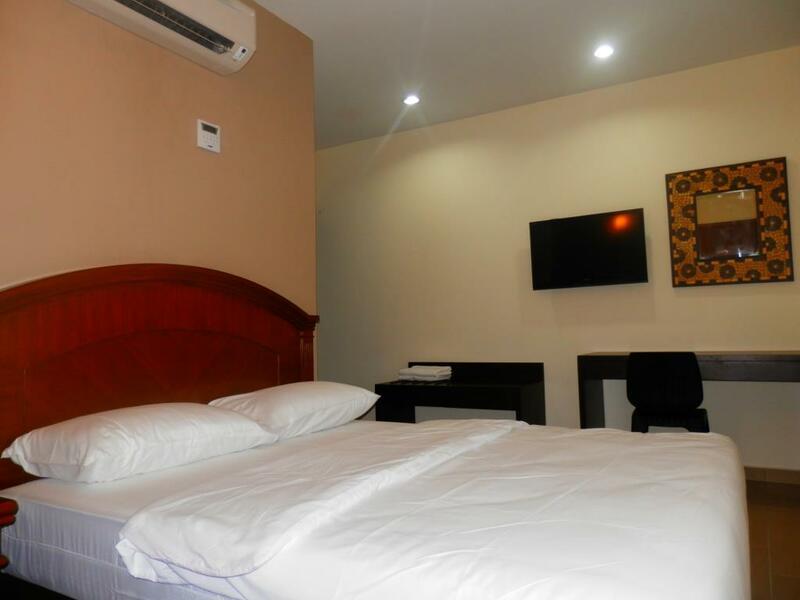 As long as there is a clean bed, air condition, clean toilet and bathroom, one should not expect too much from a Budget hotel. It is very convenient and near food stalls and restaurants. Found flooring was full with hairs and used soap in bath room. When I expressed dissatisfaction to the cleaner while asking for room cleaning service, cleaner told me to go to 5 stars hotel if I feel not comfortable with the room. The hotel is next to a open food court which offer varieties of foos to eat at night. It is also close to gift shops where one can purchase gifts for relatives. Room is clean but do not visit the 'Bukit Cina' as described in the hotel's places of interest as it is actually a Chinese grave yard..
Not very comfortable for family with toddlers but recommended for backpacker travelers. 1. To find a parking spot here is hard because it's a public parking area with full house Chinese restaurant next to the hotel. So, actually have to wait for a nearby park or if we couldn't wait just park a bit farther and walk with three small kids and additional things like bags etc. Really frustrating for people who chose to drive here. 2. No electric kettle provided, instead the hotel put a water purifier machine outside, which is next to the elevator. It's not very convenience for family with small toddlers to keep going out and in the room just to get hot water. 3. No bath mat provided - seriously, please provide one, we always have wet floor it's dangerous for young kids who like to run and play everywhere. 4. The flow of water (shower pipe) requires us to always be on high patience mode, it was very slow. 5. No Astro, just standard TV channels. 6. No complimentary bottled water or hotel amenities, it's okay since that it's just a 2-star hotel couldn't expect more but please provide at least a kettle for family room because we brought little kids who needs milk during day and night. 7. The comforter is small for two adults (double bed). 8. 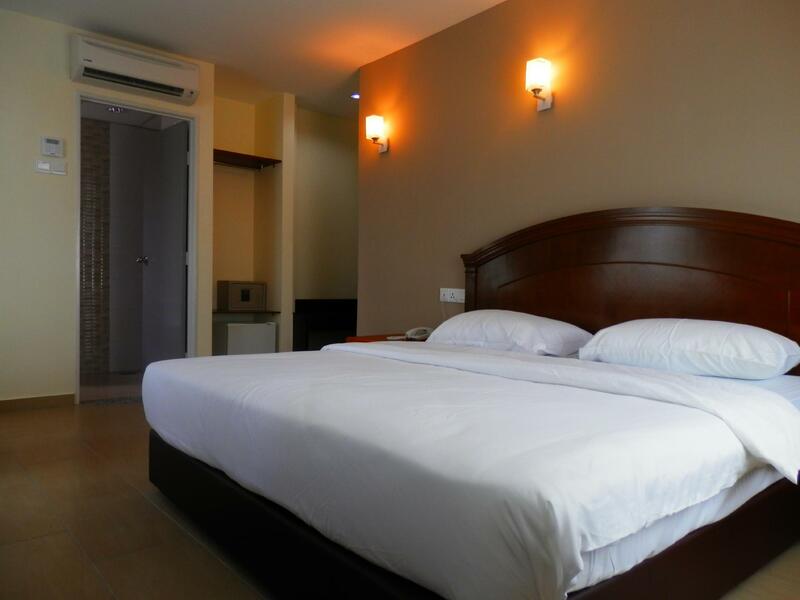 Bath towel, mattress, pillow case not very clean and got existing yellowish stains sometimes gray/dark stains which sometimes trigger our perception on the cleanliness of the hotel. This is the second time we stayed at this hotel. 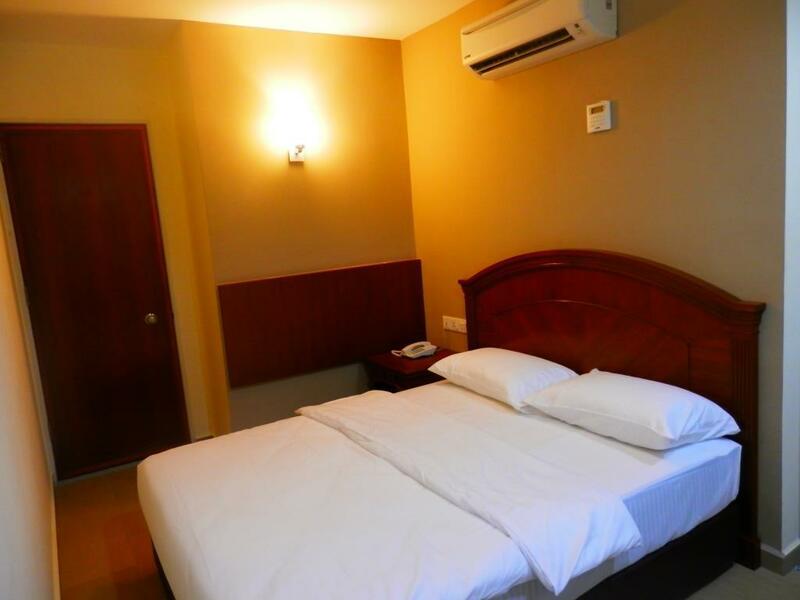 It is a basic hotel, good for a short stay. This budget hotel has a lift and is located next to a food court. 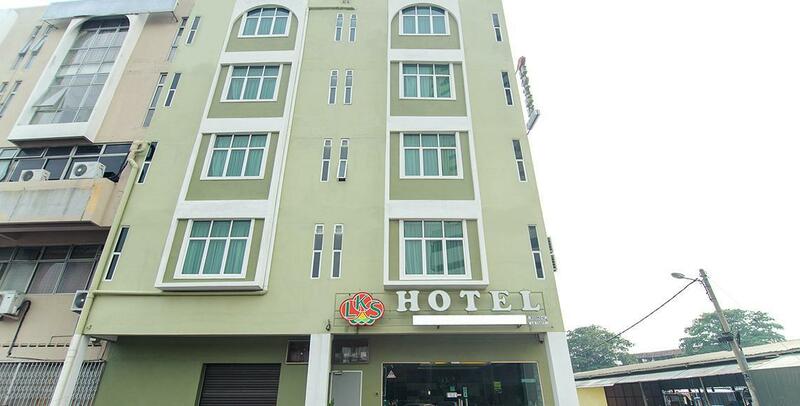 It is within a walking distance to tourist area, about 15-20minutes to Jonker Street. The only complain about this hotel is the reception area with some foul smell which we believe is the smell of the fabric sofa set. Overall it is a good place to spend a night. Slightly out of town centre making it very convenience for parking. And no hussle of normal busy road in front of the premise making it convenience to go in and out from the parking. The only downside is my bed was not really well done. Found strand of hairs from previous guest on the bedsheet. And some dust collecting underneath the blanket. Anyway, I'd sure be back again. No kettle nor glass provided in the room. Got television but can't use, all the channels are very blur. Room sound restriction very bad. The only good is the hotel just besides a foodcourt.